Cannot find a compatible Android SDK for compilation. 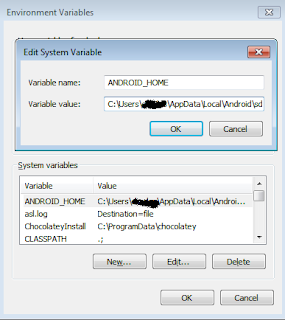 To be able to build for Android, install Android SDK 22 or later. 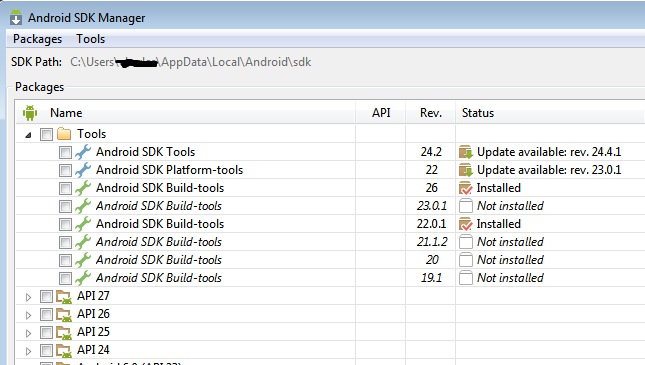 Run $ android to manage your Android SDK versions. You need to have Android SDK 22 or later and the latest Android Support Repository installed on your system. I found out that NativeScript was looking at another folder in the “c:\users\USR \ AppData\Local\Android\sdk” directory for the SDK path. 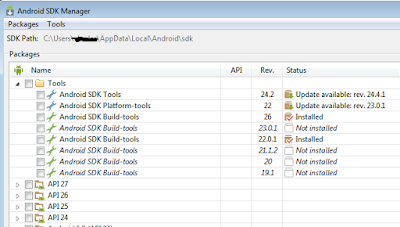 I also have another SDK path on the Program Files folder which Android Studio uses. At the end of the day, I had set the “ANDROID_HOME” system environment path to the AppData directory (C:\users\USR\AppData\Local\Android\sdk) for it to work. Note, check the documentation and make sure you follow the requirements. Below is the snapshot of the SDK manager. Token based security is trending everywhere in today’s security architecture. There are different token providers out there, but the one people are more familiar with is the JWT token. The token header is used to specify some other things like signature algorithm, expiration date, the name of the issuer, and a few other attributes. 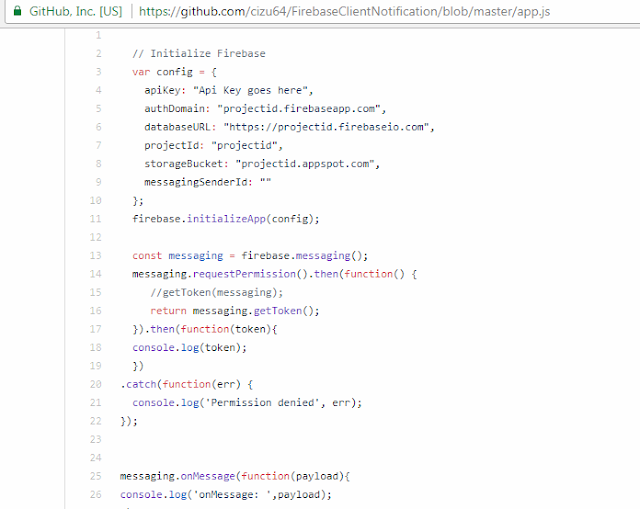 FCM server has two components for sending and receiving messages which are: The trusted environment (app server)FCM serversIt is the job of the app server to send the message to the FCM server which then sends the message to the client device. The trusted environment can be an app server for sending messages; you can also use the Admin SDK or HTTP and XMPP APIs. The work of the server is to forward the message to the FCM server which then sends to the client. 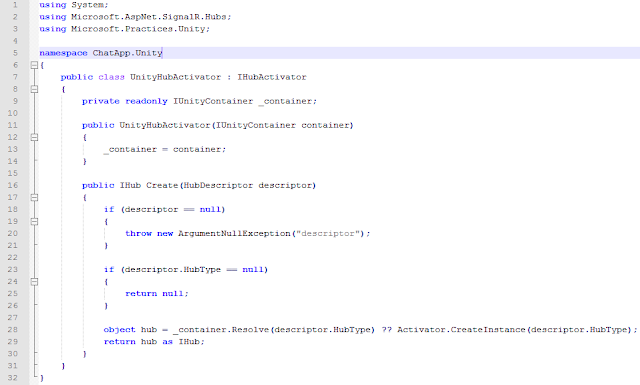 I will demonstrate how to implement dependency injection with Unity IoC container in a SignalR project. We will be building a simple online chatting app.